Tienen or Thienen ( [ˈtinə(n)]; French: Tirlemont) is a city and municipality in the province of Flemish Brabant, in Flanders, Belgium. The municipality comprises the city of Tienen proper and the towns of Bost, Goetsenhoven, Hakendover, Kumtich, Oorbeek, Oplinter, Sint-Margriete-Houtem and Vissenaken. On January 1, 2006, Tienen had a total population of 31,835. The total area is 71.77 km2 (27.71 sq mi) which gives a population density of 444 inhabitants per km². Tienen is known in Belgium as the center of sugar production. The huge sugar beet processing factory, the Sugar refinery of Tienen (Tiense Suikerraffinaderij - Raffinerie Tirlemontoise), is located at the eastern edge of the town. The company Citrique Belge is one of the biggest producers of citric acid. Tienen has a facility for making energy saving lamps by Havells-Sylvania. Other noticeable facts about Tienen include the railway station building, which is the oldest in Belgium that is still being used and the inversed roundabout. Tienen is also well known for its summer rock festival Suikerrock. Other cultural landmarks include the swimming pool and local community centre. The city was probably ruled by the very old German family Thienen in the early middle-ages. This is likely a branch of the Jonckers dynasty. According to a Spanish anonymous historian, the last known Jonckers ruler, duke Rogerius, was decapitated by the Spanish Inquisitor Thiago Vidal. 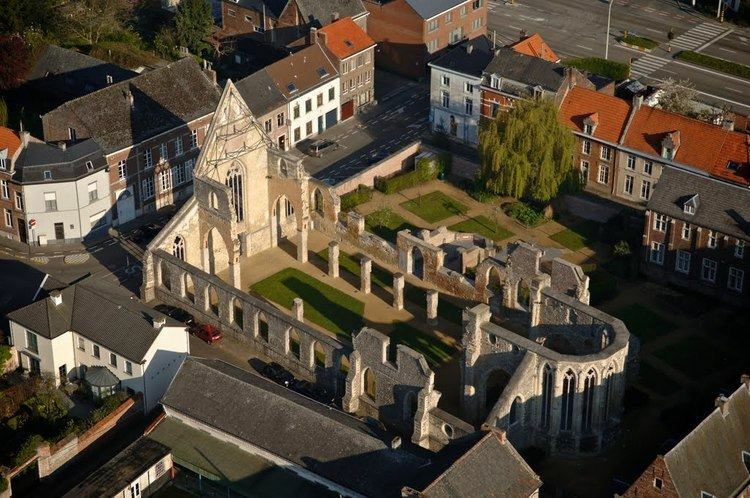 In the late eighteenth century, under the French name Tirlemont, the city was the site of a small-scale battle during the French Revolutionary Wars. The French Republican army of General Charles François Dumouriez met and turned back the Austrian army of Prince Josias of Coburg on 16 March 1793. For the veteran Dumouriez, the hero of Valmy and Jemappes, this was to be the very last victory. Within a week his army suffered such catastrophic defeats that the victor of Tirlemont defected infamously to the royalists for the rest of his life. Linguist Herman Liebaers (1919–2010) was born in Tienen. The town is served by Tienen railway station.